The Livermore Valley Performing Arts Center will present “A Bowie Celebration: The David Bowie Alumni Tour” at the Bankhead Theater on Tuesday, Feb. 12. Following last year’s critically acclaimed world tour, the group reconvened for 2019 and will make its sixth stop in Livermore on the new North American Winter Tour. The concert is an unforgettable evening of David Bowie’s songs featuring keyboardist and bandleader Mike Garson and other key alumni of Bowie’s bands from across the decades. The 2019 North American Tour features Earl Slick, Carmine Rojas, and Charlie Sexton, as well as world-class vocalists Bernard Fowler from The Rolling Stones and Corey Glover from Living Colour. With a performance on “Aladdin Sane” described by The Scotsman newspaper as “spine-tingling…worth the price of admission alone,” Garson heads up the alumni as the longest standing member of Bowie’s bands. Garson performed with Bowie at his first and last concerts in the U.S. as well as in 1,000 concerts together around the globe in between. Legendary guitarist Earl Slick also worked on landmark Bowie albums such as Diamond Dogs, Young Americans, and Reality. Between Slick and “Let’s Dance/Serious Moonlight Tour” bassist Carmine Rojas, they have over 30 years of experience of recording, writing, and playing live with Bowie. Charlie Sexton also joins in on guitar and vocals having performed with Bowie on the Glass Spider tour. According to Garson, this tour will differ from the prior year’s shows. 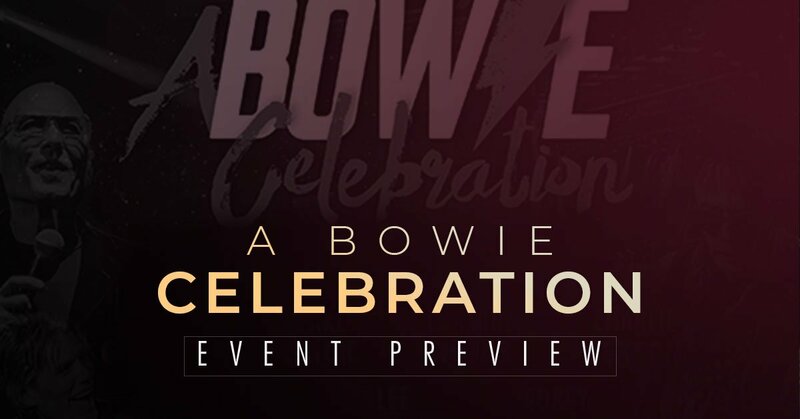 Remaining tickets for the single performance of “A Bowie Celebration” The David Bowie Alumni Tour” start at just $50 and are on sale now at the LVPAC site or at the Bankhead Theater ticket office.